“Family" photo of the Corps of Cadets taken during the 25th Reunion for the Class of 1993.
Who have you lost touch with along your journey through the military? A defining aspect of our culture is the shared adversity that forges deep relationships. Hardship strengthens those bonds. The team becomes greater than the self because of what each member is willing to give so that unit perseveres and achieves. These are the defining moments of the military experience. Soldiers become more than comrades. They become a band of brothers and sisters. They become family. My introduction to this family occurred when my military journey began a member of the Corps of Cadets at West Point. Then I graduated. Life happened. I got married. I got divorced. I struggled when I left the military - twice. I felt as though I had drifted so far from that shared sense of belonging that I couldn't go back. What I realized this past weekend was that these bonds endure. They aren't something you 'go back' to. They just are. These connections were formed in the intimate and vulnerable moments from the military experience. They come from the laughter and tears shed through beast barracks, flight school, and all those moments you wish never happened on each deployment. They are unforgettable because they have become a part of who you are. Because I underestimated the value of these relationships, I neglected them. I was so busy working toward my future that I had forgotten where I came from. Like everyone else, I had my share of struggles. There were times when I stumbled. I had setbacks. Maybe I feared that I wasn't living up to my end of the bargain in this family. I was embarrassed and even felt some shame. I was afraid that people might judge me as less than worthy of belonging to the team. If I was just dealing with ordinary people, I might have suffered that rejection, but I'm not talking about people. I'm talking about family. For good and bad, better or worse, we all share in our identity as one. I was reminded of both the strength and importance of family this past weekend. 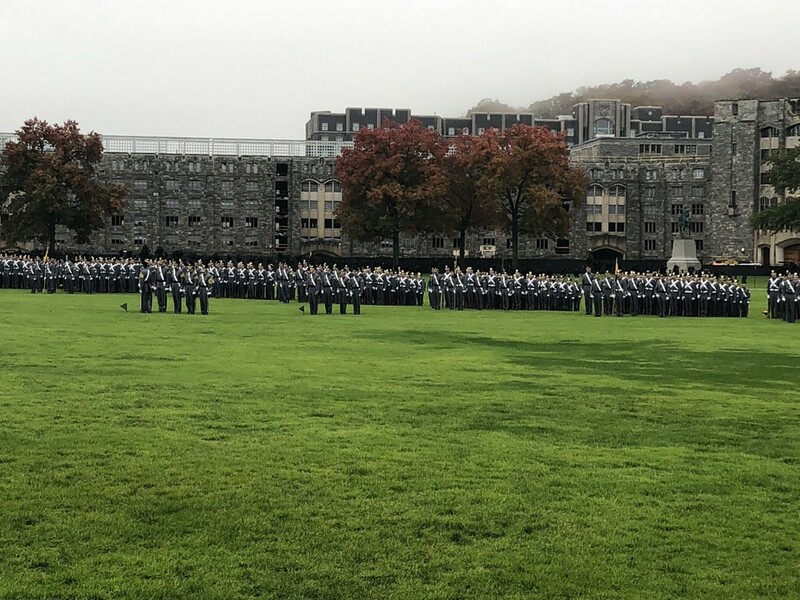 I returned to United States Military Academy for my 25th Reunion. Since my graduation, I had only briefly passed through West Point for two weddings - maybe a total of 4 hours on post between both visits. For all intensive purposes, I haven't been back for 25 years. When I drove out the gate back in 1993, I did so with open contempt for the institution. I considered that part of my life finished. I kept my eyes focused on the horizon toward future opportunities. I chose to go it alone. I did the same during flight school and just about every assignment I had in the military. I never looked back. I don't know if it was pride, ignorance, arrogance, or a combination of all three. With each passing assignment, the size of my family grew, but I chose to face each new challenge on my own. I chose to do things the hard way. When presented with the prospect of returning for my reunion, I was anxious. In my head, I was making up stories of judgment because I had so pompously rejected my family. I didn't think I was better than anyone else. I feared that I wasn't good enough. My career was a success, but I still endured my fair share of setbacks and failures. Because I left and returned to the army, all of my classmates outranked me. Both times that I transitioned, I didn't do it very well. I didn't know how others would receive me. I guess I had forgotten what it means to be family. The fear and awkwardness of those initial conversations were quickly overcome by the laughter and warmth of lives forever intertwined. The truth was that I was never alone. I just didn't realize it. Life happened to each of us, but we were still one. We were still family. Despite our middle age, the parties lasted until the open bar closed, and the after parties lasted well into the morning. We even kicked a few kegs at the bar while singing our reminiscences of Benny Havens' oh! What I've learned over the course of my career is that there is plenty of hardship that accompanies the performance of our duty. We suffer painful memories and nightmares. Anyone who has served as a military leader knows the meaning of loss and perhaps even regret. However, we also have plenty of joy. Think about it . . . when you reflect back on your experiences, are your memories of the sorrow or of the people - the members of your family? I recall the fond memories and intimate moments that make me smile and sometimes even laugh out loud. I remember the courage, bravery, and fellowship unmatched by anything I have experienced outside the military. When I chose to go it alone, I sacrificed the past two and half decades of shared experiences because I didn't exert the effort to stay connected. I had forgotten the value of standing together with my family. At some point, we will all hang up the uniform. You will disconnect from the military. That doesn't mean we need to disconnect from each other. Connection is the hardest part of reintegration back into society, but the truth is that you are forever connected to the men and women who stood beside you along your military journey. Transition can be a lonely process, but you are never alone. Remembering these connections makes the most difficult part of transition a little easier. Every transition advisor and career counselor will tell you to build a strong network to find the right opportunity and your next tribe. Remember that you already have the strongest network, and you have something better than a tribe. You have a family. You just have to reach out to them. The list of people that I wish that I had stayed in touch with is long. In fact, it is too long. I don't have to wait another 25 years to stay connected. You don't have to either. The family you built throughout your career is impervious to time, location, and the particulars of life. The courage necessary to make that call, send that text, or craft that email pales in comparison to the gratitude both you and the recipient will feel from your message. Trust me - they want to hear from you as much as you want to hear from them. Veterans' Day is on the horizon. So are the holidays. If transition is something in your future for the next year, remember all the people who stand beside you on your left and your right. The holidays are a good excuse to reach out to your family, but you don't need one. They are always there in the same way that you are there for them. Life after the military can be difficult, but you don't have to do it alone. Even when you leave the military, your family is always with you. You've built a cadre of tenacious war fighters who are always by your side. They are forever a part of your story. So, for all the people you've lost touch with over the years, who would you like to call first?